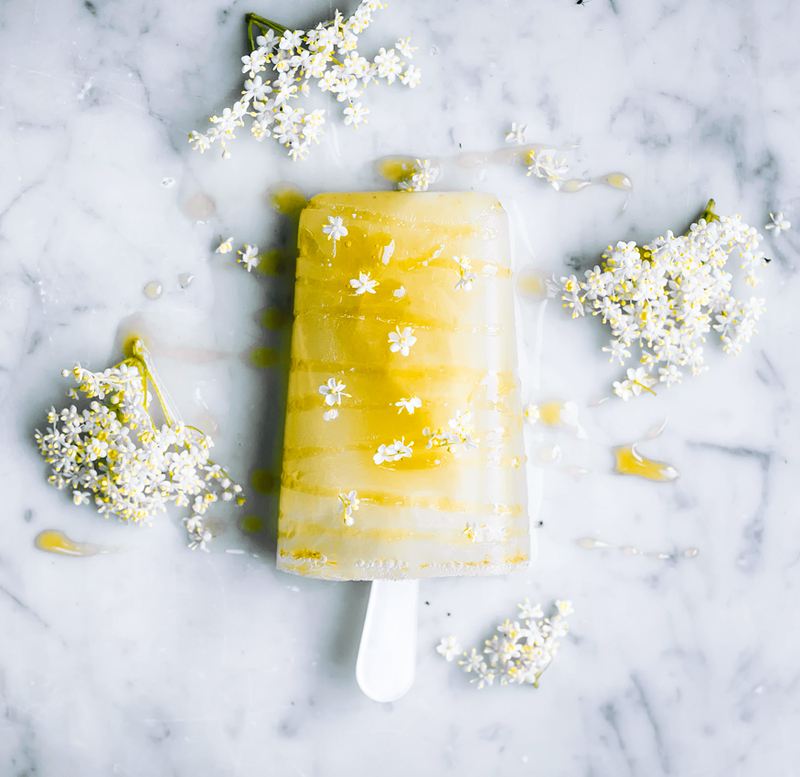 Elderflowers have such a short season, and these lemon elderflower popsicles are a great way to capture their delicate flavour. I chose to go with the traditional elderflower syrup ingredients here, minus the sugar, using local honey instead. 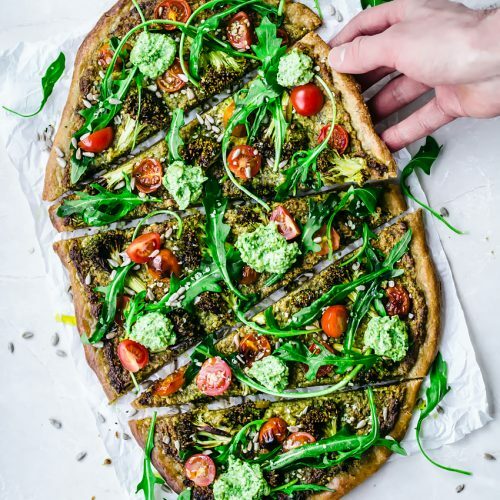 Maple syrup is a nice substitute if you want to make these vegan. The elderflowers are almost at the end of their season where I live, but I know they’re in full swing elsewhere in the world. If you’ve never tried them, do your best to seek some out. 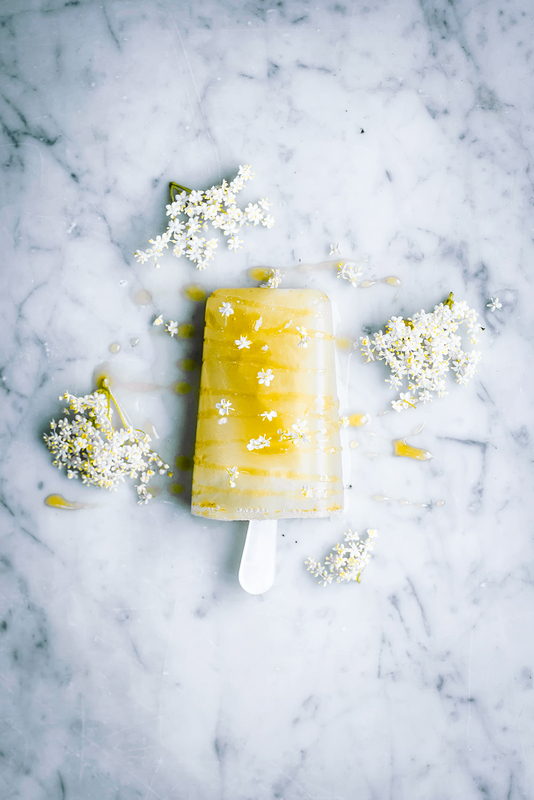 Elderflower syrup is the most common way to use the delicate blossoms but they also make a lovely addition to cakes, cookies, and some savoury dishes. 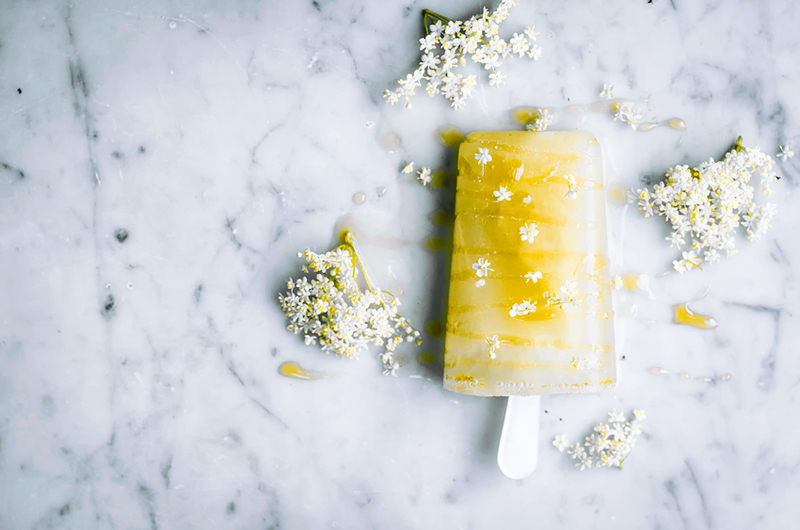 I have syrup on the go but elderflower popsicles seemed like a good idea (and it is). Try to gather them in the morning and look for flowers with lots of pollen on them, as the pollen is where the flavour comes from. And make sure you take lots of breaks to smell them. And maybe smell them first to see if you think you’ll like eating them, hah. 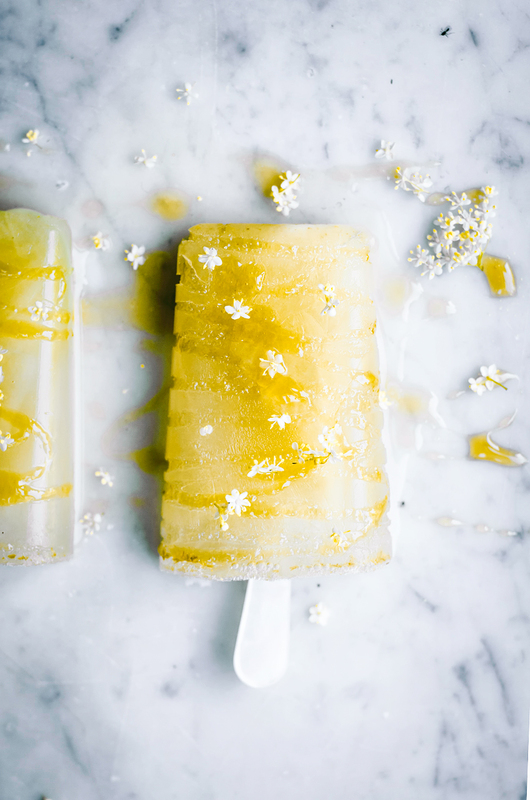 Lemon and elderflower is a classic combination, and for good reason. They play off each other and the lemon sets off a floral flavour that might be too subtle on its own. 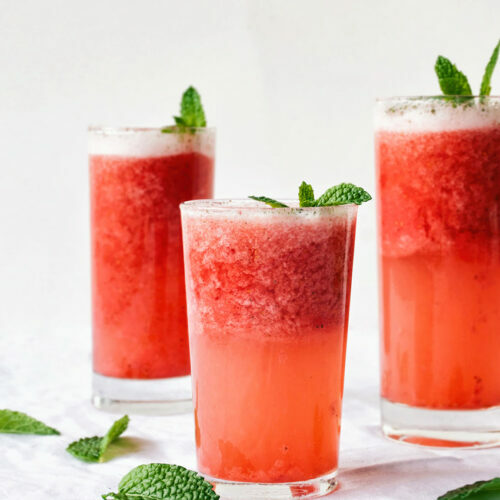 These end up tasting a bit like a floral frozen lemonade, and if you don’t have quite enough space in your popsicle moulds, it’s a tasty drink too. Traci suggested gin for my rhubarb lemonade and I’m thinking that might be a good choice here, too, if you want to turn leftovers into a cocktail. If you don’t have a mould you can also use little paper cups or silicon muffin liners, and I didn’t use popsicle sticks here so clearly spoons work just as well! However you end up making them, I think both kids and adults will like these. A quick note if you want to gather blossoms yourself – make sure you leave plenty for the bees and so that there are elderberries in high summer. They’re just as delicious as the blossoms and, in any case, it’s always a good idea to just take a little when you’re gathering wild foods. & I never want to photograph popsicles on a 30 degree day again, they were melting before I even put them down. 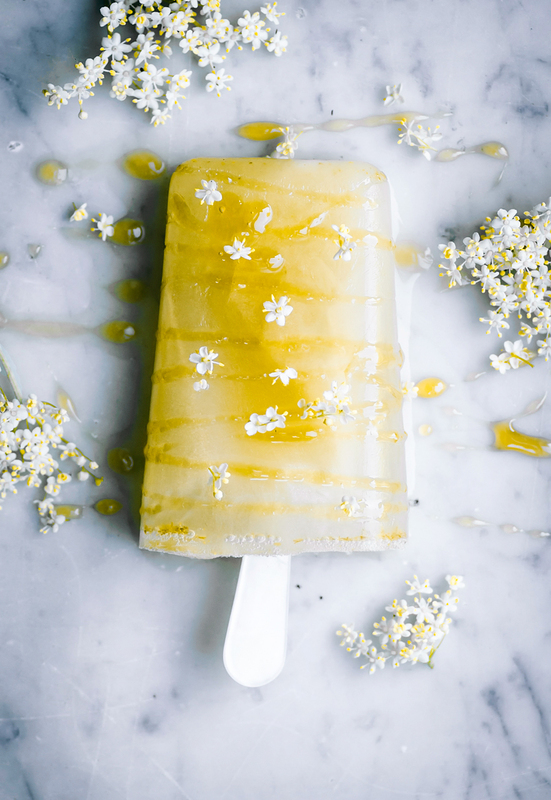 Elderflowers have such a short season, and these lemon elderflower popsicles with honey or maple syrup are a great way to capture their delicate flavour. 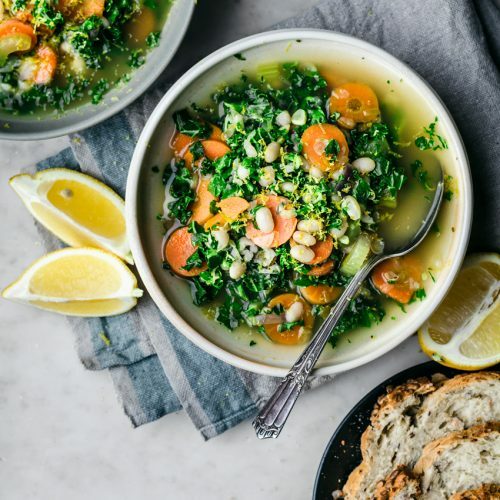 Place the elderflower, lemon zest, and ginger into a large heatproof bowl. Stir in the boiling water, and steep for 10 minutes. Strain the blossoms and zest, then add the lemon juice and honey and stir to combine. Pour into popsicle moulds and add a small spoon or stick, then freeze for at least four hours before serving. 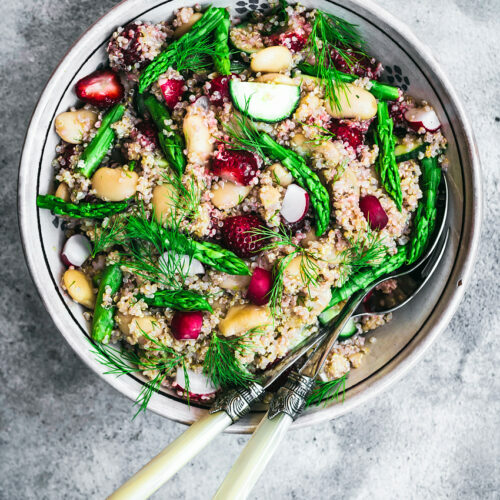 * The green of elderflowers is poisonous in large quantities, so avoid adding any here.